Groundbreaking art-rock performer, author and spoken word artist OTEP will embark on a 30+ date U.S. headline run this February and March as part of her "The Resistance World Tour." The tour will begin in Mesa, AZ on Feb. 14 and come to a close on March 23 in Las Vegas, NV. The Convalescence, The World Over and One Day Waiting will perform as support on select dates and Hatebreed will join to headline in two cities. Tickets are on sale now via oteploves.me. 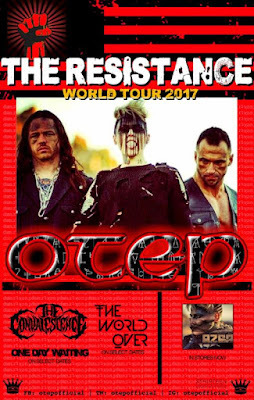 OTEP said, "The music and message for this tour is simple: when they come for one of us, they come for all of us. We will fight for our right to exist." OTEP is touring in support of her band's most recent full-length release, Generation Doom, which hit stores in April 2016 via Napalm Records (order here). With OTEP Shamaya's multifaceted vocal approach - ranging from gut wrenching roars to soft seductive poetry and beautiful singing showcasing her evolution as a writer and story teller - Generation Doomerupts with thunderous, punishing grooves that harmoniously detonate into dark industrial fury with magma flows of hard rock melodies that seamlessly shapeshift into a mysterious musical beast. Upon release, Generation Doom debuted at #10 on the Billboard Independent Chart, #7 on the Rock Chart, #4 on the Hard Rock Chart and #109 on the Top 200 Albums Chart. 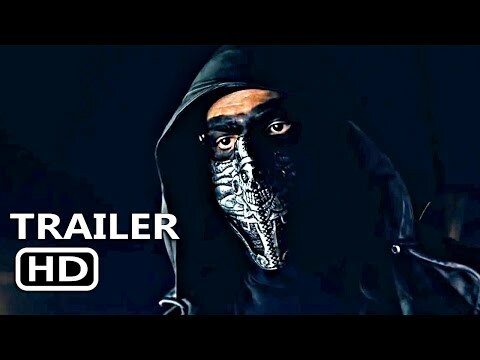 Watch the music video for the powerful single "Zero" here.